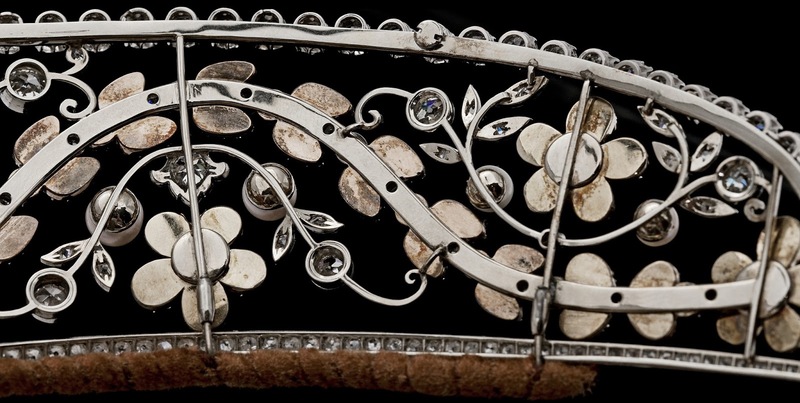 Creation: This tiara was made by Aage Dragsted in the 1930s. 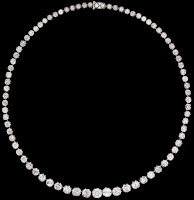 The top row of diamonds can be removed and worn as a necklace. 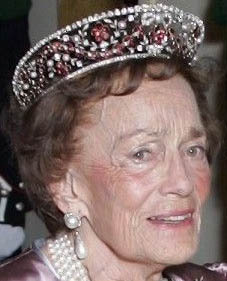 Which of Countess Ruth's children inherited and then sold this tiara? It took hours of research and family-tree tracing, I'd appreciate it if you'd use Tiaras and Trianon as the source and primary link. [Same goes for the Londonderry Amethysts.] If you're going to act moral and post links, be honest about from where you get your information! I think you can understand my frustration. If you scoff, well that's your karma. Actually, I spent quite a while researching this post myself and I got the photos from various message boards, not your website. I’ve never actually spoken to the writer of Sartorial Splendor so I’m not sure what makes them my “blogger pal.” While I didn’t rank the links, if I had to choose a primary one it would certainly be the auction house’s website because ALL of the information is clearly stated on it. Given the fact that I do not profit in any way from my website and that the information in your post can easily be found elsewhere, I believe that a link you your post is quite generous. I was simply trying to show readers another great website about tiaras, which is something I would have been grateful for anyone else doing for me. I never meant to cause offense. I would like to continue to link to your website in the future but I understand if you do not want me to so please let me know if you would like me to remove any links to your website. Also, I don’t have a post about the Londonderry Amethysts so I’m not sure what you mean about that. Dear Tiara Mania..........I love your website.....unfortunately I don't check it often enough,bute this time, WOW, a list of goodies. I especally love the Rosenborg, quite beautiful, and not very 'famous'. The kokoshnik style is my favorite. I adore hearing about all the 'not-so-famous' tiaras.....what a wonderful history to read about. I'm wondering of Princess Viggo had a Russian background and that is why her husband had it fashioned in this way. Love, love this tiara........thanks so much. 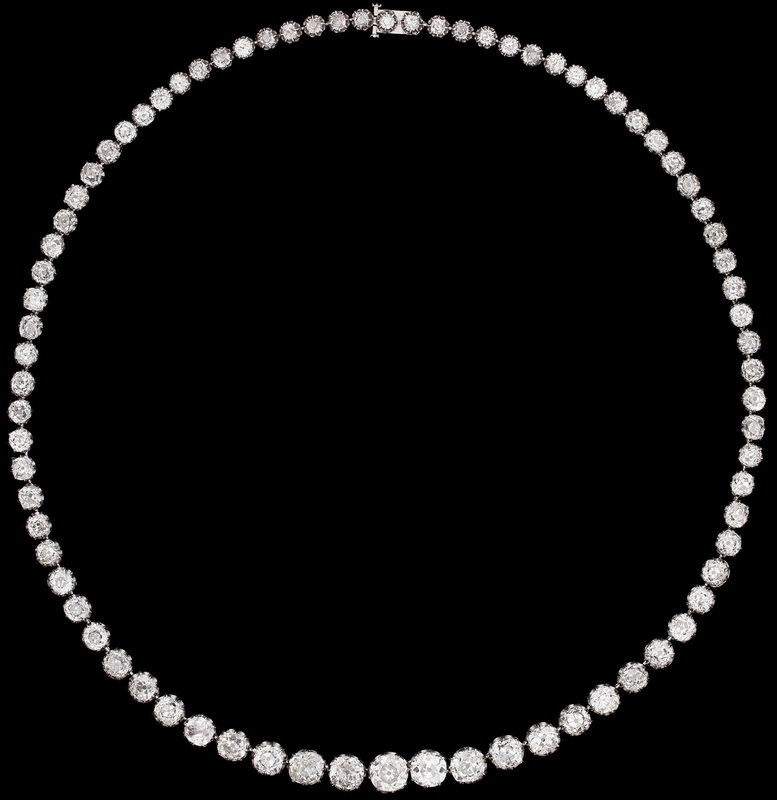 The tiara was sold on the 13th of may 2014, by Sotheby's. It was sold for about 200,000 euros.